So what does he serve in his restaurant? Is it French cuisine or can you expect a taste of South Africa? Although I hope to soon sit down to one of his beautifully plated meals, for now, I had to be satisfied with a look at his website. The menu is described as “modern French plates inspired by the markets of the South of France”, but I was delighted to find some South African treasures such as “Mosbolletjies” and Cape seed loaf, whipped biltong Miso butter” and “Melktertjies en rooibos tee” on it as well. As in his cookbooks, Jan-Hendrik incorporates his South African food heritage in his French restaurant and that excites me. 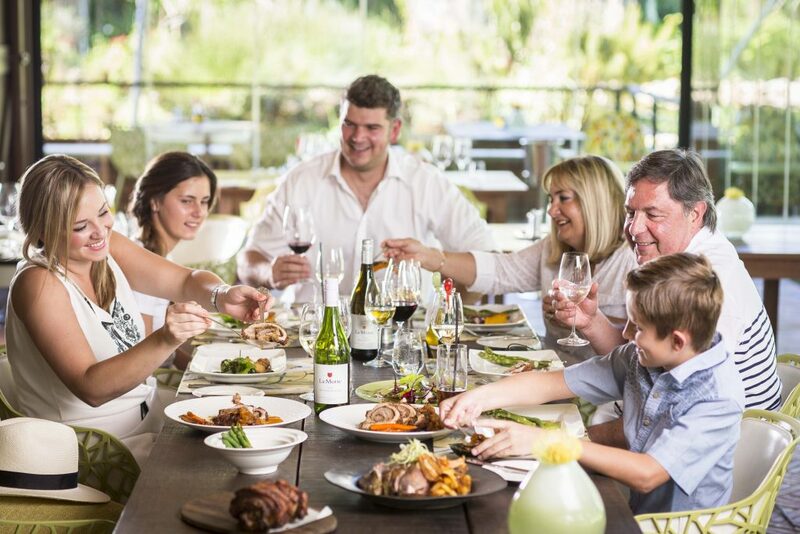 When we opened our Pierneef à La Motte Restaurant in 2010, the focus was also on the traditional food of the Cape Winelands – celebrating the heritage of our regional cuisine. It was a harder task than anticipated. Proper research, recipe development and modification were necessary, but in the end we were able to publish a cookbook sharing the history and recipes of Cape Winelands Cuisine and the restaurant has been sharing heritage-inspired meals with much success for just more than five years now. Heritage food is however not limited to a nostalgic chef in France or a Winelands enthusiast like myself. It is trending internationally. Did you know that UNESCO also recognised culinary heritage? Its intangible cultural heritage list recognises things like Argentina’s tango, Mexico’s Mariachi music, Turkish Coffee and the Lipizzaner riding school in Austria. But then there is the gastronomy of France, Spanish-influenced Mexican food and the Mediterranean diet of Italy, Spain, Greece, Morocco, Portugal, Cyprus and Croatia. And although the culinary heritage of every country is not that well-known or documented, the culture of food is important everywhere – families and friends gather around meals and have traditional favourites. Late last year, we surprised my mother with a cookbook we made featuring the recipes she is famous for in our family. And although they represent homely food, they also reflect something of our heritage. And that is why I am so passionate about celebrating regional and traditional food. It gives us insight into foreign cultures, it teaches us to embrace and respect different traditions and it reminds us to remember and treasure our own history.